Your room is cluttered and hard to clean up, simply because of the number of things. Most of these are random items that will eventually be moved to a closet that is already packed. Your assortment of trinkets, purses, and shoes has gotten out-of-hand. 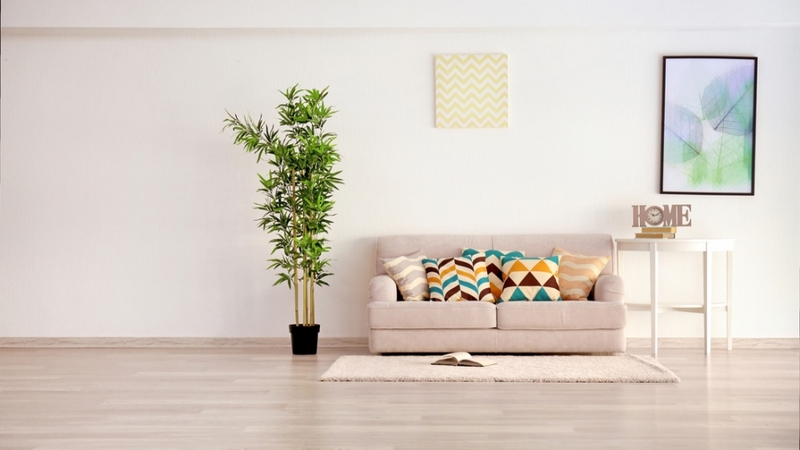 If this sounds familiar, you might consider living a minimalist lifestyle to clean up your space, increase your happiness, and leave more room in your budget. The most obvious benefit that results from your decision to live more minimally is clearing out every room in your house. Start with the room that you spend the most time in. This will likely take the most time, but the results will leave you feeling encouraged to complete the task on the rest of your living spaces. If you spend the most time in your bedroom, try initially tackling the closet and dresser to sort through clothes. Establish organization from the beginning by sorting clothes by type. Then comes the harder part – letting go. Let go of anything you know you haven’t worn in the last 6 months, with special consideration for sentimental or special occasion value. Keep simple and versatile pieces that are easy to pair to narrow down your clothing needs. Apply the same ideas to non-clothes items in every room. You might see the size of your space and have the urge to fill it. Empty and blank spaces need to be filled, right? Not necessarily. More clutter in your physical spaces can often lead to a mind that feels cluttered. This mental disorganization serves to feed unproductive and uninspired feelings. If your job requires creativity, a refreshing minimalist upgrade will do the trick to jump start your creative juices. A cleaned-up space will inspire you to start that workout plan or try that recipe you’ve been meaning to make. Unneeded items can also cause stress, so let go and lift that weight off your shoulders. Consider researching how the clothes and items you buy are made. This will help you better understand your place in the cycle. There is no need to feel guilty, but reducing any fast-fashion buying habits may ease your conscience and increase your awareness. Look at the quality of the items you buy to create a collection that you can appreciate for time to come. When organizing your collection of things to get rid of, distinguish between what has value to sell and what you can donate. Consider placing everything that you don’t want to keep in storage, like a self storage Las Vegas unit, until you can take it to a donation center or list it for sale. Selling items that are still in good condition can be a good source of some extra cash. This can be by selling clothes to consignment stores or listing electronics and other items on online websites or apps. Use this bonus money for a fun night or put it away in your savings. Apply the principles of minimalism to your financial situation too. Make a plan to minimize debt and live frugally. Don’t be afraid to take a hard look and cut out parts of your budget that aren’t necessary. Try carrying cash to better visualize how and where you spend your money. Focus on spending money on enjoyable memories, like a concert, versus items that are easily disposable. The minimalist trend is ever-growing and might be for you if you ever considered cutting back in all aspects of life. Your wallet, closet, and mind will thank you for the changes and habits that you instill. And maybe a complete life change isn’t necessary or possible, but even small changes will lead to a more fulfilled lifestyle.